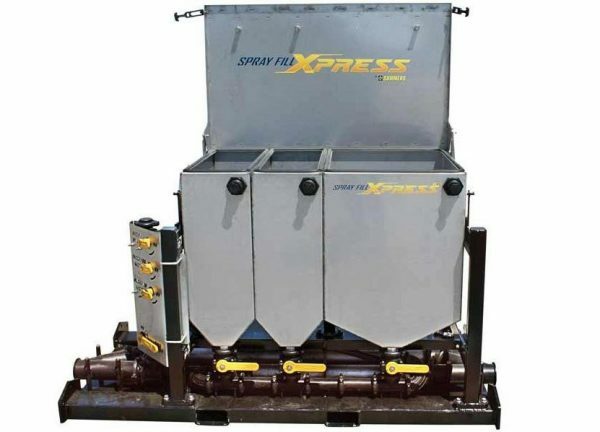 SPRAY FILL XPRESS Chemical Batching System. 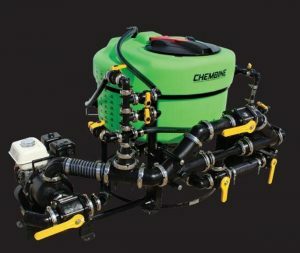 The SFX 2430 is customizable using multiple 40 and 80 gallon tanks to reach a total 240 gallon at full capacity. 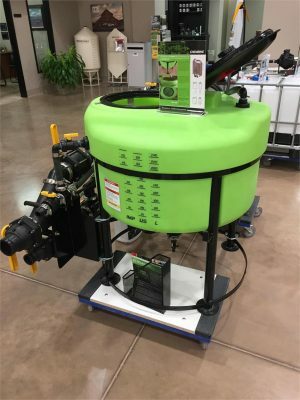 3″ plumbing, rinse system valves, rinse wand, optional flowmeters and scales, stainless steel tanks, deep sump tank, forklift access holes, and modular design. Chembine custom poly mixing tank. 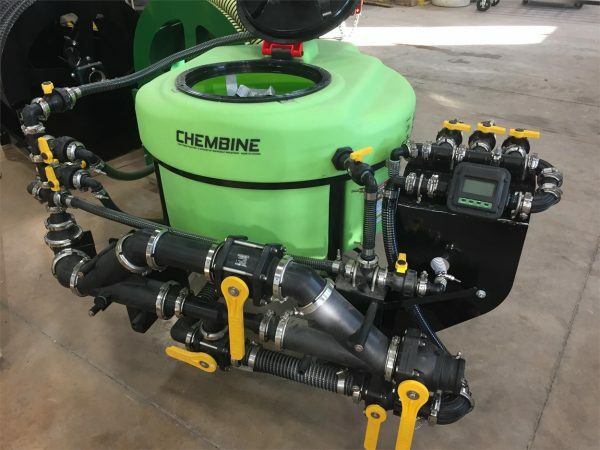 Chembine is one of the best systems on the market for mixing both liquid and dry chemicals. 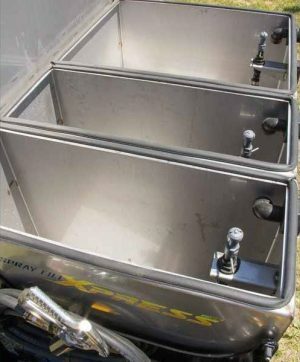 75 gal of cap, 3″ plumbing/ fittings, recirculation, knife block system to ensure complete jug drainage/ rinse, hinged 16″ man-lid, large frame feet for stability and securing tank to trailer, four vertical water jets for agitation, venturi system, and all hoses have clear sidewalls to improve visibility. 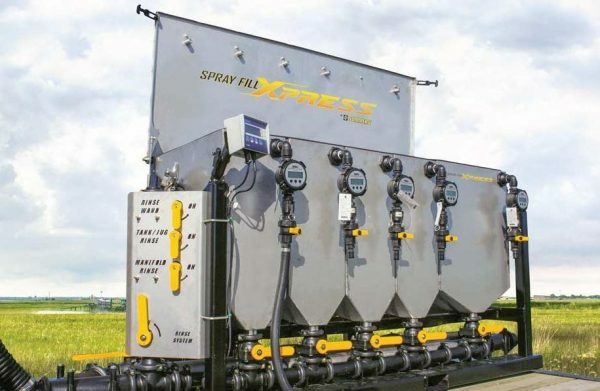 SPRAY FILL XPRESS Chemical Batching System. 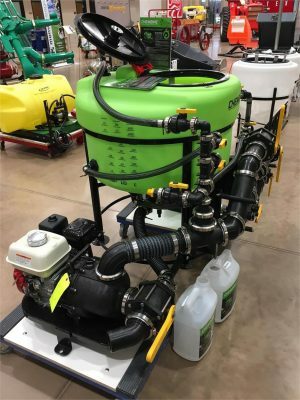 The SFX 1630 is customizable using multiple 40 and 80 gallon tanks to reach a total 160 gallon at full capacity. 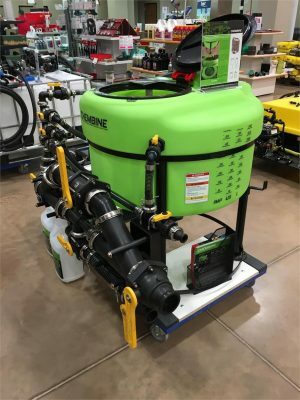 3″ plumbing, rinse system valves, rinse wand, optional flowmeters and scales, stainless steel tanks, deep sump tank, forklift access holes, and modular design.